Patricia Frazier writes poetry with a message of empowerment, social activism and remembrance. The 19-year-old Chicagoan and Columbia College Chicago student was recently named the second-ever National Youth Poet Laureate. The National Youth Poet Laureate program was created 10 years ago by the literary arts organization Urban Word and the New York City Mayor’s office. Judges select a National Youth Poet Laureate from a group of five Youth Poet Laureates, each representing a different U.S. region. 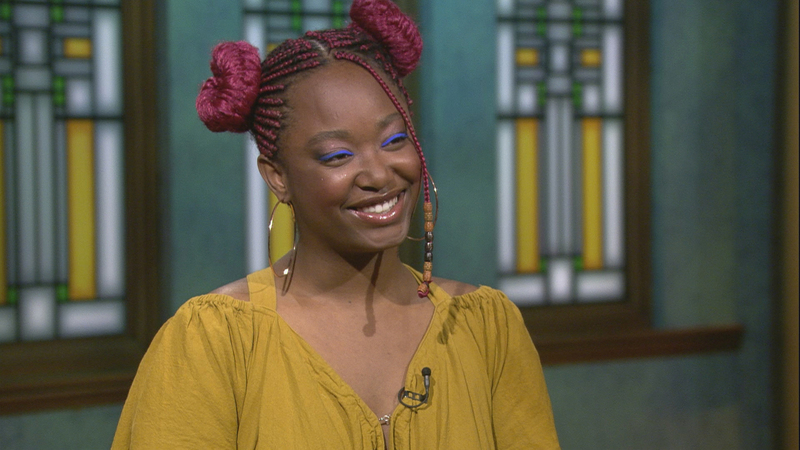 Frazier is the first National Youth Poet Laureate from Chicago. In her debut book “Graphite,” set to be published this September, Frazier draws inspiration from her upbringing in the now-demolished Ida B. Wells Homes in Bronzeville. For years, she avoided venturing outside her home due to news coverage of crime in the area. Through her writing and recollections of people and places that have moved on, Frazier hopes to preserve the terminable aspects of life. “I want my poetry to act as this replacement home for a home that’s already been lost or gone,” she said. As an artist and activist, Frazier hopes to bring literacy to underserved young people throughout Chicago as well as those in juvenile detention. She also wants to challenge the traditional perception of poets and their work. “It’s getting better, but I think there’s less diversity in the literary world because these people who have different stories to tell are afraid of literacy – they’re traversing into this world that is very white academia,” Frazier said. “People need to know that a story can exist in whatever language they want – that means Ebonics or other colloquialisms. Frazier joins Chicago Tonight’s Carol Marin in discussion. You can read two of Frazier’s poems here.